Register on the Libri website and get a one-time coupon for 20% off your next Libri purchase. Have you already done some reading today? Well, not exactly your textbooks or notes, but a novel, a travel guide or perhaps some excellent short stories. You haven’t? Because you have already read all the books you took along with you? No problem! One of Hungary’s leading bookstore chains awaits you with heavily-laden shelves. The main goal of Libri is to become a supplier of intellectual experiences for its customers. We keep expanding and improving our services by setting up wireless Internet, launching an individually tailored ordering and delivery system and creating reader islands with a new café ambiance. Culture fans among our Libri customers can regularly meet prominent figures of the Hungarian and the world’s literary and public scene at our book shows and other programmes. Libri opened its webshop in 2000. Our book web shop won the Website of The Year prize in the e-trade category and The Shop of the Country prize in the Book and Film category. 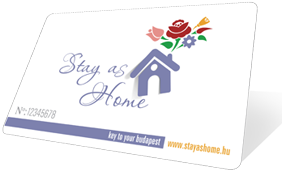 If you register on our web site you will immediately get 5 percent discount on your loyalty card. Following the registration we will give you a one-time 20 percent discount coupon, which you can use in our online shop.